We found it. We found our children’s Christmas book for the year. 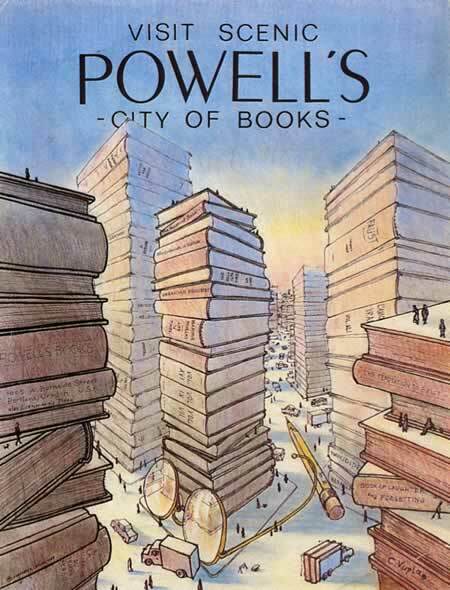 The highlight of our annual Christmas shopping downtown was Powell’s Books (and the falafel pocket sandwich at the Saturday Market). John and I headed to the children’s section (with many detours along the way), gathered an armload of promising-looking Christmas books from the shelves, and settled onto two pint-sized chairs next to a tiny table. We were looking for a book that combined a beautiful story with rich illustrations and the sort of winsome text that appeals to children. We found it. Actually we found several, but my personal favorite of the three we brought home was Song of the Stars, by Sally Lloyd-Jones, who authored my favorite, The Jesus Bible Storybook. Just as she does in her Bible storybook, Sally Lloyd-Jones approaches the account of Jesus’ birth from a fresh, but biblically sound, perspective. Combine that with Alison Jay’s rich and imaginative illustrations and Jones’s lyrical text and you’ve got a winner in our household! What I love most about this book is the way it captures the eager anticipation of Christ’s birth. It starts out with, “The world was about to change forever, and it almost went by unnoticed…”, and then goes on to show us all creation trembling in excitement, awaiting His arrival. The wind, the wild animals, the flowers and skies and seas, the grass and stars — they all breathe out, “It’s time! It’s time!” They all marvel that the One who created them has come to live with them. It made me think of the carol, “O Come, O come, Emmanuel (“God-with-us”), and ransom captive Israel.” It made me think of the Psalms and their joyful pictures of hills clapping and seas roaring because Jesus has come to rule the world. It brought to mind the little drawings of those hills and seas in the margins of my Bible. He made us. He made the world. He joined us. He became one of us so that He could redeem us. Let’s not feel guilty about giving and decorating and singing and feasting. He’s won! He reigns! Nothing will ever be the same! We should celebrate! “Let the sea roar, and the fulness thereof; the world, and they that dwell therein. Let the floods clap their hands: let the hills be joyful together. Before the Lord; for he cometh to judge the earth: with righteousness shall he judge the world, and the people with equity” (Psalm 98:7-9). We would like to give away one of Susan Lloyd-Jones’ books. The winner will be able to choose between a copy of The Jesus Bible Storybook or Song of the Stars. To enter, list your favorite children’s Christmas storybook in the comments below. You may only enter one time, and you must enter by tomorrow (Wednesday, December 19) at noon, PST. That way we will be able to get the book to the winner before Christmas Day! Merry Christmas! Enjoy these days of anticipation and preparation! By far my favorite children’s book for the Christmas season is Patricia St. John’s book, Treasures of the Snow. It’s a read-aloud rather than a picture book, but it captures the hearts and interest of all ages while telling a beautiful story of redemption, forgiveness and Christ’s love in a way children can relate to and even apply! The Tale of the Three Trees by Angela Elwell Hunt. I have two favorites and I really cannot choose. Both those books we read most around Christmastime for one showed so much that giving is better than receiving and the other that you always have to await Christ. Papa Panov’s special Christmas by Ruben Saillens. The legend of the Christmas Stocking by Rick Osborne. We love the Legend of the Candy Cane by Lori Walburg. The Legend of the Candy Cane by Lori Walburg. But thanks for this – now there are lots of others we can look into! We love Christmas story books and I know my boys will absolutely love this one. There are so many to choose from and I personally prefer ones with the central Message of true Christmas. That way it becomes part of my worldview and the worldview of my children. Thank you for the giveaway!!! The Crippled Lamb i a favorite of ours along with Treasures in the Snow. The Story of Christmas. By Patricia Pingry. One Wintry Night by Ruth Graham! Song of the Stars looks wonderful. We like to read through One Wintry Night at least once during the Christmas season, one chapter per night. I love The Christmas Story. It is a beautifully illustrated and simply and poetically written. We love it!!! The Christmas Story by Jane Werner Watson. A Christmas Carol, by Charles Dickens! The Drummer Boy by Ted Dekker. The Christmas Miracle of Jonathan Tomey was the first Christmas book we were given by friends after we were saved and it has always had a special place in our hearts. Not necessarily my favorite Christmas story book but definitely a book my kids have fond memories of is Can you See What I see Night Before Christmas by Walter Wick. The kids have a tradition of sipping hot chocolate and sitting together trying to find all the “I Spy” Christmas items. They sit for a long time doing this while their father and I zip around the house trying to finish our Christmas To Do list. We bought The King’s Christmas List by Eldon Johnson last year and I love the way it shares the spirit of giving. We love “There Was No Snow on Christmas Eve” by Pam Munoz Ryan and Dennis Nolan for it’s simplicity in story and the beautiful illustrations. Thank you for this give-away! Wow…another book title for gifting is an early Christmas present in itself! =-) Too difficult to choose a “favorite”..but how about a twist on the traditional. 😉 Whether in English or in Latin, _Quomodo Individiosulus Nomine Grinchus Christi Natalem Abrogaverit_, we are reminded in our consumerist culture that it’s not the “stuff” we receive that makes Christmas joy-filled. It’s a change of heart. However, unlike Mr. Grinch, our heart didn’t simply “grow three sizes.” By a work of Divine Grace in Christ we were given NEW hearts!! Thanks be to God for His indescribable gift! 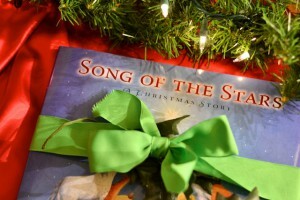 We are searching for favorites too– we love the Jesus Storybook Bible, so I am happy to know about Song of the Stars. I have small children, so they appreciate Crystal Bowman’s board books, A Star for Jesus and Christmas Angels. They are very simple, but age appropriate for my 1 year old and 2 year old. They help explain some of symbolism of Christmas– why angels and stars should remind us of Jesus’ birth. Good for where we are now, but I’m looking forward to finding some favorites they can grow into as well. I’m excited to check out all the suggestions here. Merry Christmas! This looks like a truly sweet and Christ centered book! Our children’s favorite Christmas book is “God Gave Us Christmas” by Lisa Bergren. I should say this is their favorite this year…they have a lot of favorites! Hope you have a Christmas filled with thanksgiving and awe in Our Savior Jesus! We are searching for good ones, so I’m really thankful for this post and all the suggestions! 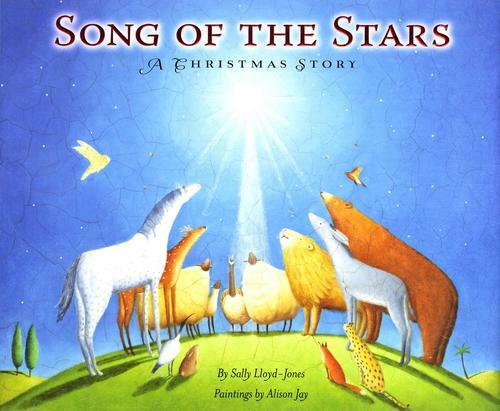 We love The Jesus Storybook Bible, so would really love to win Song of the Stars! Thank you so much! Jotham’s Journey is really good! I agree with others that it is hard to choose. Thanks for the neat giveaway. We have really enjoyed so many Christmas books this year it is hard to pick just one. But, we really enjoyed “Treasures of the Snow.” We usually go to the library for our Christmas books, but I would like to start our own collection for home! Thanks for the giveaway. I don’t have a ton of Christmas books to choose from, by my fave of the ones we have is The Pine Tree Parable. Thank you for this great giveaway! We have a wicker basket full of Christmas books that I put by the tree each year. My favorite book is The Christmas Miracle of Jonathan Tomey by Susan Wojciechowski. This book always makes me cry! I have two small children and we have not decided on a favorite Christmas Storybook. However, we do have the The Jesus Bible Storybook which we treasure! Thank you for the opportunity to win another book by this talented author. Thank you also for the many suggestions of good books through your blog and in the comments. I am building a great list of books to consider for our home library! Merry Christmas!!! My favorite book since childhood is The Littlest Angel by Charles Tazewell. I somehow identify with the little angel & had a little basket with a lid, like his box that I kept treasures in when young. Unfortunately we don’t have a favorite yet. My children are still young and I am just beginning to look into building up a collection of Christmas books. This would be a wonderful start! It’s perfect for our children who are 4 and 6. My girls don’t have a favorite yet, but I love the idea of listening to the CD in the car. Please enter me. Our favorite is The Best Christmas Pageant Ever. We read it as a family out loud every night in December before nightly devotions and prayers. We always laugh so much and it has such an awesome ending and message. We have two baskets of Christmas books. Very hard to choose. We like to use the month of December to recite Luke 2 as a family. The simplicity and beauty of Luke’s language can not be matched. Reading it once very day takes little effort and goes a long way towards putting the story in our memory bank. “The Year of the Perfect Christmas Tree” by Gloria Houston is a true Appalachian story. “The Three Gifts of Christmas” by Jennie Bishop (author of “The Princess and the Kiss”). A favorite Christmas book in our home is Mary’s First Christmas by Walter Wangerin Jr. In the story, Mary is retelling the account of Jesus’ birth to Jesus as a young boy. Every night before he goes to bed she tells him just a little bit more. It is beautifully written and illustrated and every time I read it I cry because I am impacted by the reminder of what Jesus endured for me. It’s fairly long, so we spread it out over several nights. I’d probably have choose The Best Christmas Pageant Ever. My girls are so caught up in the story right now and the sound of their laughter at the kids’ antics does my heart good. We have many of the favorites listed by others, but for the sake of offereing something new (although not directly gospel-related) we like The Christmas Doll by Elvira Woodruff. It is a touching story about two workhouse orphan sisters in London and the special love they have for each other. It is suspenseful and has a very sweet ending. It helps our children realize how fortunate they are and to be thankful for family. The drawings in the book look great. I just checked my library; and they have it!! I also was able to request many of the titles from your last post–from my library=)! My kids love Hurry!HUrry! Have You Heard. Good King Wenceslas by John Neale, illustrated by Tim Ladwig. Beautiful illustrations accompany the lyrics of the carol. Our favorite Christmas story is the Christmas Miracle of Jonathan Toomey. Such a lovely story. Thanks for this opportunity. I think our top three would be “The Christmas Miracle of Jonathan Toomey”; “Good King Wenceslas”, illustrated by Jamichael Henterly; and “The Advent Storybook” by Antonie Schneider. Thank you for sharing this new book, and for your generous offer. Annika’s Secret Wish is one of our favorites. The Christmas Miracle of Jonathan Toomey is great…but we also like the Legend of the _______ books. We read the Legend of the Christmas Tree this year. We have enjoyed ‘Christmas Day in the Morning’ by Pearl S. Buck with illustrations by Mark Buehner. ‘The Jesus Bible Storybook’ is our favorite young children’s Bible too. I look forward to your blog posts and consider them as treasures in my email box. My boys love The Legend of the Candy Cane and Who is Coming to Our House? “This is the beloved story of a little girl, born on Christmas day, who brings light and love to all those around her, even as her young life is slowly fading. She enjoys nothing more than giving to those who will appreciate it the most”. Luke 2 is not too hard for children. Also, “The Best Christmas Pageant Ever”. And, off topic, “Thanksgiving –A Time to Remember” by Barbara Rainey, also includes a CD of beautiful music. We focus on Thanksgiving because we wanted to make our own family traditions, starting at at time when we were in a foreign country full of certain idol-worship traditions. They loved how we reached out to them and invited us into their lives, understanding that when they bowed to kiss the baby idol’s feet, we would bow out and go home. We remain friends with many, to this day. It did surprise us that they would say “oh you don’t do ___________ because you aren’t _______________”…..yet we did show them Christ’s love in a way that forged strong bonds. The Crippled Lamb by Max Lucado and The Little Drummer Boy by Ezra Jack Keaz. Legend of the Candy cane!! We have two favorites: One Wintry Night, Ruth Bell Graham and Child of the Promise, Stormie Omartian. I’m not sure about a favorite Christmas story for our kiddos, but we adore Sally Lloyd Jones’ Jesus Storybook Bible. We recommend it to everyone! Looking forward to reading this one by her! One of our family favorites at Christmastime is Papa Panov. It’s the story of a shoemaker waiting for a special visitor and helping the people who pass by his little shop. Jotham’s Journey is our family favorite thus far. Our favourite Christmas book (although, not exclusively Christmas) is the Tale of Three Trees. My boys and I love to cuddle up and read this story. One of our favorites is God Gave Us Christmas by Lisa Bergren. We read this one every year and also love God Gave Us You. We like the Crippled Lamb as well as The Tale of The Three Trees. We also like The Quiltmakers Gift. While the latter isn’t necessarily a Christmas book, it communicates a strong message of it is better to give than to receive. I just love “God Gave Us Christmas” by Lisa Bergren. Such a sweet, tender story. Thank you for the awesome giveaway – and for encouraging your readers to list their favorite books. What a great way to discover more wonderful Christmas books! A favorite for sure would have to be Charlie’s Blanket!! I love how you have so many Christmas books about Jesus. It seems that now days we are inundated with books about Santa. It is refreshing to read your posts about them. We only have a few Christmas books but would love to start a better selection for our children. What a wonderful contest. Thank you! Our favorite Christmas book “this year” is Merry Christmas, BIG HUNGRY BEAR! by Don and Audrey Wood. Our little boys love the illustrations and the simple but poignant message. The Christmas Miracle of Jonathan Toomey ranks near the top of my list along with The Gift of the Christmas Cookie and The Other Wise Man, but the older kids might go for Jotham’s Journey . . . they still can’t stand the suspense of waiting for the next day’s reading even though they’ve heard the story multiple times! The little ones (and I) really like Who Is Coming to Our House. We love Silver Packages: An Appalachian Christmas Story by Cynthia Rylant. This is a very special story about the true meaning of Christmas and it has been the beginning of a new Christmas tradition for our family. I’m glad I’m not the only one who hoards children’s Christmas books by the basketful! Oh man…..I don’t think we have a favorite. We love all books about Christmas & Jesus birth. I really like The Crippled Lamb as well as The Christmas Miracle of Jonathan Tomey, which is a recently new favorite around here. Thanks for this review and recommendation! Thank you for the giveaway and for having everyone list their favorites! We are just starting our collection. On the advice of a friend we got Jotham’s Journey this year and it is our first. Now I have some others to look into. It would be nice to have a list with a short synopsis and possibly age range notations for Christ centered holiday books. Thank you for this. I can’t say that we have 1 favorite either. So many great ones to choose from. I would love to add Song of the Stars to our list. So hard to choose our favorite Christmas book there are so many, so I have to put three! Alabaster’s song by Max Lucad, Why Christmas Trees Aren’t Perfect, by Richard H. Schneider and The Christmas Miracle of Jonathan Toomey, by Susan Wojciechowski. And so many more!!!! What fun to read through this rich list of children’s Christmas books! I jotted the titles and authors down, filling a sheet front & back. I look forward to adding Song of the Stars to our collection! I’m grandma-age and I’ve never had children so my favorite of all Christmas stories is still Luke 2. We would read it every year as a family before we gave our gifts to each other. Now I’ve ‘adopted’ three young ladies in my church and would be glad to share these Christmas book ideas with them. As our children are getting older I noticed last year they were not as excited about our Christmas book collection. So this year I asked around to some mom friends with older children and borrowed Jothem’s Journey. We started a bit late for the daily advent reading but it hasn’t mattered becuase every night they BEG for another reading. At this rate, we may even be finished before Christmas!! But as we have more little ones, we are always on the look out for quality Christmas book celebrating the true meaning of Christmas. Thank you so much for your review!! Even if I don’t win, it’s on my wishlist!! Pam, and all of the Forster Family: Merry Christmas to you all! May the Lord keep you all and bless you! We like The Three Trees and also Clopper, the Christmas Donkey by Emily King (she is a local Portland author) Love Powell’s! Thanks for the giveaway! Our favorite Christmas books are: The Tale of Three Trees and The Crippled Lamb. Thank you for this great giveaway! 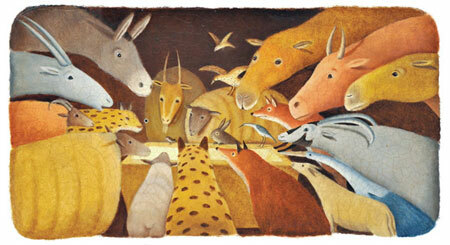 We love the illustrations in This is the Stable by Cynthia Cotten. God Gave us Christmas is another favorite in our house. We enjoyed reading Keeping Holiday last year. We love sooooo many, can’t wait to read this new one! Merry Christmas! one of our favorite Christmas books is “The Legend of the Three Trees”. It tells the story of what three trees want to become (worldly great things) and how God uses them to accomplish His plan for them. This year our favorite Christmas book was “Penny’s Christmas Jar Miracle.” We have just started collected Christmas books. Thanks for your ministry!! My favorite is One Wintry Night by Ruth Graham. Thank you all SOOO much for your great suggestions. I can’ t wait to check out some of these books!! We also don’t have a favorite, but hopefully we will this year!!!! We really enjoyed “The Crippled Lamb” by Max Lucado. When I was a child I loved the Little Golden Book: The Animal’s Christmas Eve and I have mine and read it to my kids. We love “Twas the Night: The Nativity Story” by Melody Carlson. We love the Jesus Storybook Bible too!! We don’t have a library built up yet, but thank-you so much for your “recommended books list”! We have and enjoy “Jesus is Born” by LeeDell Stickler, Illustrated by Suzanne Snider. We have the Jesus Storybook Bible and love it! I have been looking at Song of the Stars and would be very happy to add that to our collection this year. My favorite Christmas books are The Year of The Perfect Christmas Tree by Gloria Houston and The Christmas Tapestry by Patricia Polacco. We are just starting our home library of Christmas books. I pondered over all the Christmas books at the bookstore and had such a hard time choosing. Now I’m glad to see all the recommendations in this list. Would love to add Song of the Stars to our growing collection. Thank you for the giveaway! One of many we enjoy is Mr. Willowby’s Christmas Tree by Robery Barry. Song of the Stars looks lovely! The Christmas Miracle of Jonathan Toomey by Susan Wojciechowski — we also really like Eve Bunting’s Night Tree although it is not religious. Also A Cup of Christmas Tea by Tom Hegg. My favorite is The Christmas Miracle of Jonathan Toomey . “The Lightlings” by R. C. Sproul, and illustrated by Justin Gerard. Oh, so many lovely books it is difficult to choose, let me see….The Christmas Miracle of Jonathan Toomey, Silent Night illustrated by Susan Jeffers (Beautiful!! ), The Tale of Three Trees A Traditional Folktale Retold by Angela Elwell Hunt, Illustrations by Tim Jonke. And, even though our “children” are 20 and almost 17, we still do the Advent books Jotham’s Journey, Bartholomew’s Passage, and Tabitha’s Travels…I think this is our 10th year of reading through the series. We are such bibliomaniacs in our family. 🙂 No better way to create memories and focus on what Christmas is really all about. 🙂 Now my children are beginning to collect these books for the families God will bless them with in His time! The Lightlings by R.C. Sproul but I’m thinking that I’d love Song of the Stars as well since I love the Jesus Storybook Bible! We have several favorites as a family, but my children consistently pick “The Pokey Little Puppy’s First Christmas” as their favorite! I’m still looking for a favorite, but when it comes to small chapter books, I read Christmas on Jane Street: A True Story by Billy Romp every year. It brings on the tears every year! The Night Before Christmas: A Classic Illustrated Edition by Clement C. Moore and Cooper Edens. The pictures are wonderful! We love Jotham’s Journey by Arnold Ytreeide. We have been reading Arnold Ytreeide’s Advent books for many years. This year we are reading “Tabitha’s Travels.” It is a highlight for us. I have never seen the book you mentioned. It looks wonderful. One Wintry Night – love the artwork, as well as the deep Scriptural background to the arrival of the Messiah —- Emmanuel, my favorite Christmas Word! Jothams Journey, Batholomews Passage & Tabithas Travels – all by Arnold Ytreeide. They are Advent books that we alternate each year.